My wife and I have quite opposite views on how one should go on holiday. I like to be up at 8AM, out the door by 9AM, and doing as much as the day allows when I’m in a new place; my wife, on the other hand, believes in having a more relaxed experience. I’m also a person who wants to visit as many countries as possible in my lifetime. On our honeymoon in Barcelona this year, I suggested taking a three-hour bus ride to Andorra as a day trip. Unfortunately, the literature we found online about Andorra la Vella, the micronation’s capital, suggested that it was a rather dull place, with very little to see, nothing exciting to eat, and insufficient tax-free shopping to warrant a six-hour round trip. We saw absolutely nothing about Caldea. Which is why I was surprised to open the booklet to Tim Blake’s 2002 album Caldea Music II and learn about “Europe’s largest health spa”, the organisation that commissioned this work (and the earlier 2000 volume Caldea Music, by the unrelated Neuronium). With 6,000 square metres of indoor space, the gigantic spa, depicted on the Going for the One-like cover in what Blake poetically dubs a ‘Crystal City’, is a host to many pools, jacuzzis and other relaxation areas. This would have been ideal honeymoon material, had we known about it at the time. Endorsing progressive music will have to keep me satisfied for now. Caldea Music II comes hot on the heels of 2000’s blunder The Tide of the Century, but with a very pre-meditated shift in approach. 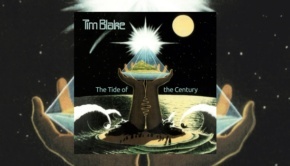 In Blake’s original 2002 notes, he mentions having distanced himself from “new age” music over the years, but that a large demand from his fanbase, coupled with a trip to the Caldea centre, prompted him to try his hand at creating “relaxation” music once again. The album is bookended by the anthemic Caldea and Caldea II, which are identical except for the instrumentation; Konan Mevel joins on the latter track to play the Catalan veuze, a type of bagpipe (interestingly, if you attempt to Google this instrument, you’re brought straight to this album, showing you how popular it is), as well as a Celtic flute, to enhance the flavour of the region. In between are delights that summon up images of the spa itself, such as Floating featuring Christian Boulé on glissando guitar, Jacuzzi Surfing, which sounds awfully dangerous, and the epic The Great Pool, just shy of twenty minutes in length and prefaced by the minute-long Indian beach recording Om Beach. While these tracks are rather long, they never seem boring, as Blake subtly shifts the dynamics around throughout each track. They aren’t particularly mind-blowing either, however, and it’s quite normal to switch off, only to wonder where the time went once the track finishes. 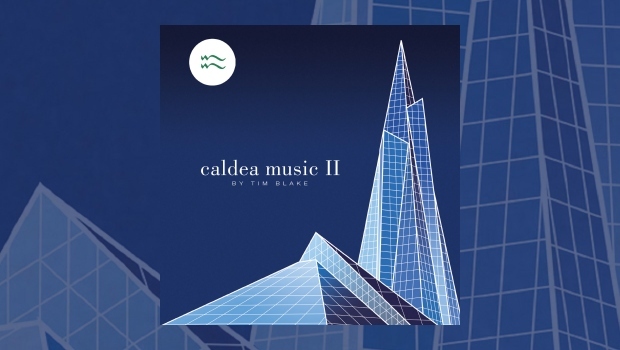 Comparing to Blake’s original ambient work on Crystal Machine, where he attempted to “stimulate mentally, where other music stimulates physically,” Caldea Music II is certainly more relaxing than the tension that is built on tracks such as Synthese Intemporel. This, combined with the fact that new age had become old hat by the 2000’s is why it’s difficult to put this album in the same league as its predecessor. That being said, Caldea Music II is surely as soothing as any trip to the spa, which I’m sure was Blake’s intention. 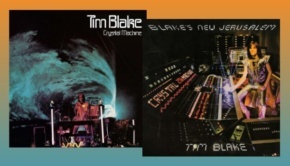 Esoteric have put together a simple reissue, with the booklet containing both Blake’s original notes as well as a verbose essay by Ian Abrahams. Tickets to Andorra are sadly not included.